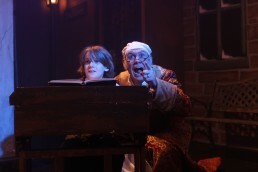 Synopsis: Join the miserly Ebenezer Scrooge as he is guided through his past, present and future by three spirits in this classic Christmas Tale. Adapted for the Argenta Community Theater by Judy B. Goss, 2018 marks our second annual production of this classic story of redemption, kindness and Christmas spirit. With direction by Vincent Insalaco, technical direction by Sara Cooke and costume design by Shelly Hall, you’ll be transported to Victorian England for a story that stands the test of time. The 2018 cast starred Ben Barham as Ebenezer Scrooge, Ben Grimes as Bob Cratchit, and John Barham as Tiny Tim. Synopsis: Newsies, based on the 1992 Walt Disney film, tells the story of the New York City newsboys strike of 1899. A quick-witted, smooth talking newsboy, Jack Kelly, rallies fellow child workers to protest rate hikes of the major New York newspapers of the time. Historical figures such as Joseph Pulitzer and Teddy Roosevelt are joined by an ensemble of scrappy newsies, a young upstart journalist, Vaudeville performers and others to tell this lively, defiant and uplifting story. Vincent Insalaco directs this high-energy show, with vocal direction by Karen Q. Clark and choreography by Moriah Patterson. It’s sure to be a hit for the whole family! 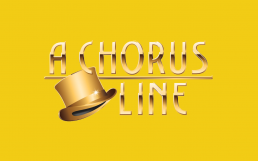 Synopsis: A CHORUS LINE is a stunning concept musical capturing the spirit and tension of a Broadway chorus audition. Exploring the inner lives and poignant ambitions of professional Broadway dancers, the show features one powerhouse number after another. Memorable musical numbers include “What I Did for Love, “One,” “I Can Do That,” “At the Ballet,” “The Music and the Mirror,” and “I Hope I Get It.” A brilliantly complex fusion of song, dance, and compellingly authentic drama, A CHORUS LINE will feature ACT veterans and newcomers alike, united for an electrifying night at the theater!